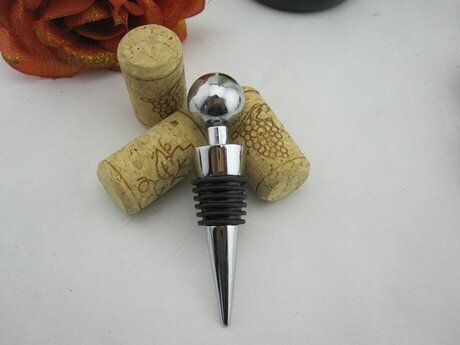 Elegant Ball-shaped Red wine bottle stopper. 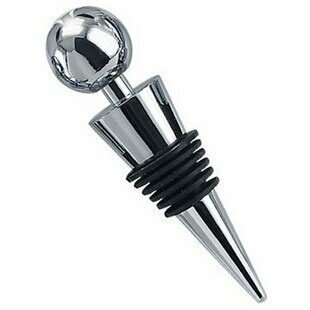 This wine bottle stopper is beautiful and functional. 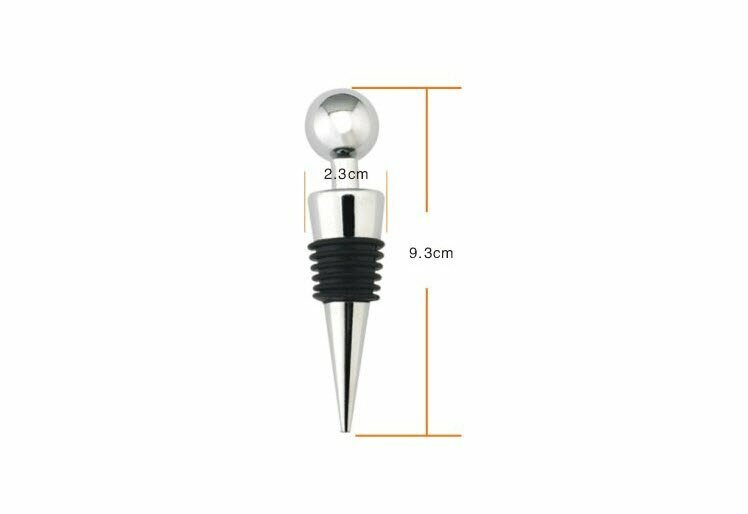 Just because these stoppers are a lot less expensive than you are used to seeing does not mean that the quality suffers! 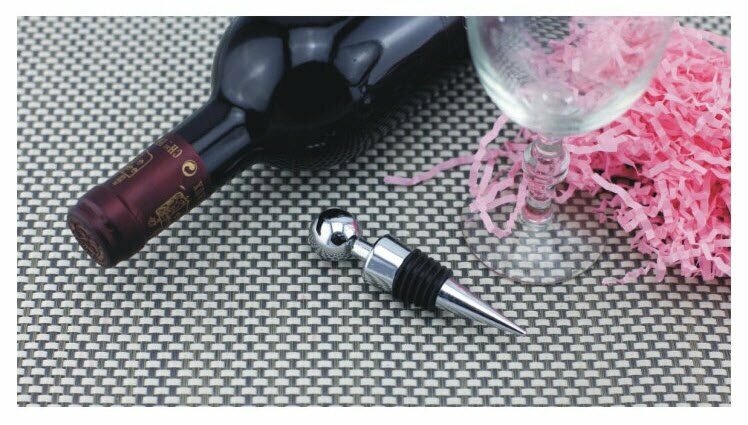 Polished stainless steel base with rubber seal for different size bottles. 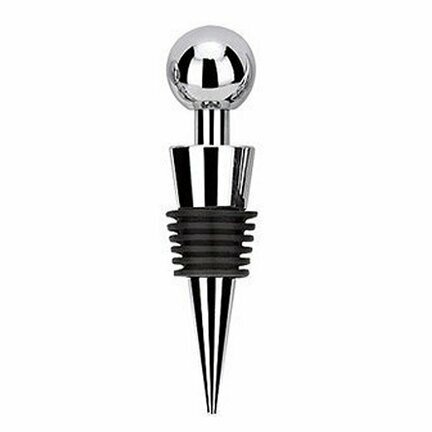 This beautiful bottle stopper will keep your open wine fresher and look beautiful at the same time. 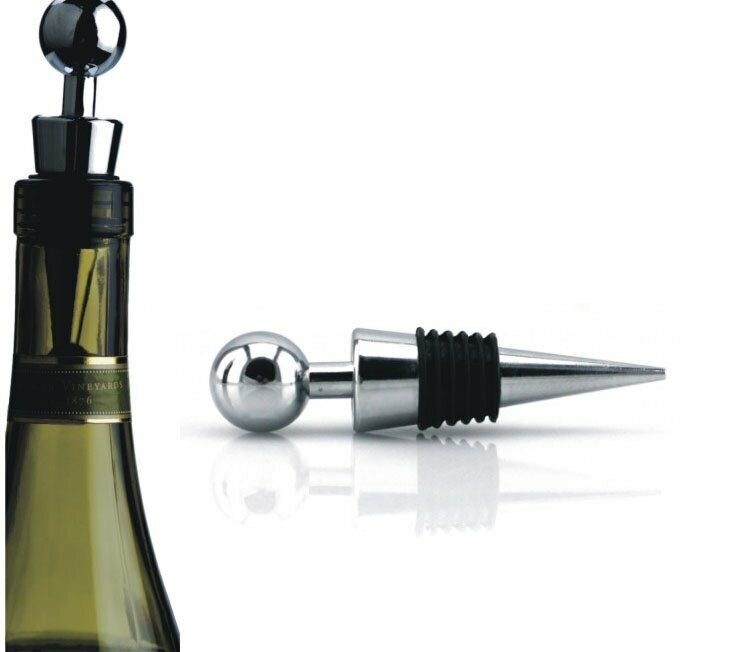 Place on open bottle top and press down to seal and twist to release stopper.